Select the Office Hours tab on the left-hand side of your Dashboard. 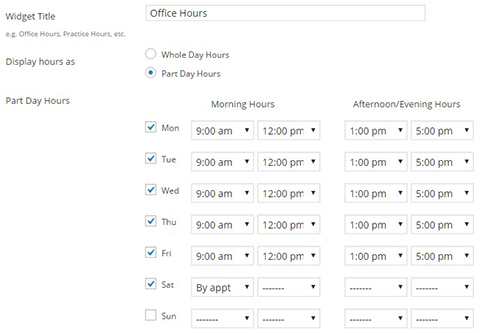 On this page you can choose change the name of your Office Hours widget and select Whole Day Hours or Part Day Hours depending on your office schedule. 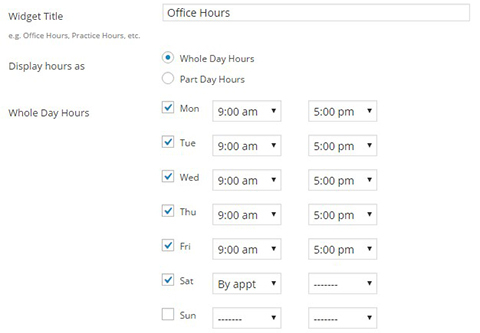 If your office hours are alternating or you have specific information you need displayed with your office hours, please contact support@perfectpatients.com and our Client Support Team will be happy to help you with this.